Students loved Nova's Posies and requested that she design something for the guys in their life. So, here it is! 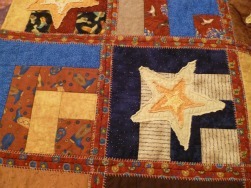 Raw edge applique and quilt-as-you-go make this quilt fast and fun. Change your focus fabrics from 'western' to sports oriented for your soccer star, football star, etc. Contact Nova to schedule a workshop for your group. 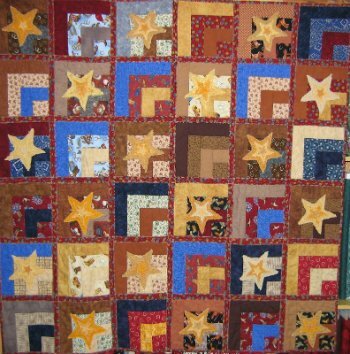 Click here to shop for Nova's favorite notions including the pattern for this quilt. Fun quilt for your guys! "Nova did a wonderful job helping all of us. There was no question or technique she could not address. Her 'good spirit' is amazing and made the class so much fun."